Would you like to take your cruising to a new level? Original equipment on Lamborghini Gallardos KONI FSD (frequency selective dampers) are a must for fine tuning your BMW's ride, and handling capability. 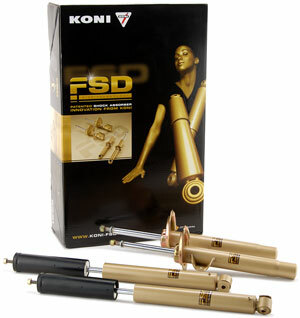 KONI FSD adjusts damping automatically, so there is no need to manually adjust the shock absorber. These shocks replace OEM shocks and actively controls stiffness, and dramatically improves handling. 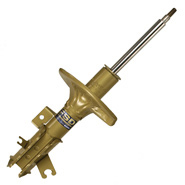 KONI revolutionized shocks, with the first ever adjustable shock. It comes as no surprise that KONI remains the market leader in shock absorbers. I can't believe the difference in the ride and handling since I put these on my car. I added the Koni FSD, a set of springs and the Hotchkis Sway bars and it is so much better than stock. I was surprised that the ride was actually smoother than with the factory shocks. No more feeling every crack and seam in the road. The car feels like it is firmly planted when I go through turns and it is a lot of fun. I would definitely recommend these to anyone that wants better handling and a smoother ride.